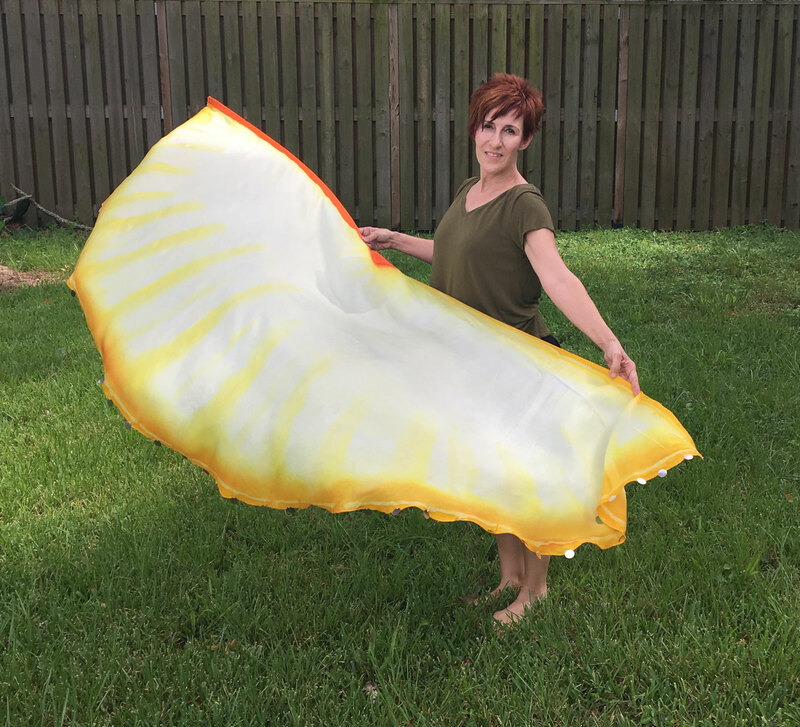 Glory Flex Wings - 3 Strand Cord Silks - Glowing Silk Flags & Billows based on the Bible, Jesus and His Church, to enhance your worship of God! Glory Flex Wings - Flex Wings have a bendable rod inserted within the seam. 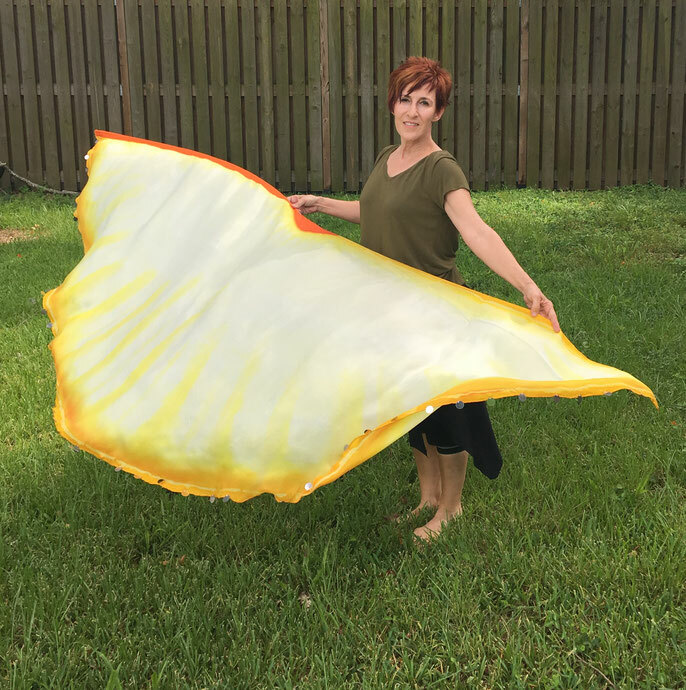 Glory Wings are pale in color, with golden yellow on the edges and sequin bangles hand sewn onto the hem all around. Each wing is 8 ft. long and hand dyed on fine silk. Very light weight. Sequins give an added "sparkle" to their beautiful, flowing movement. 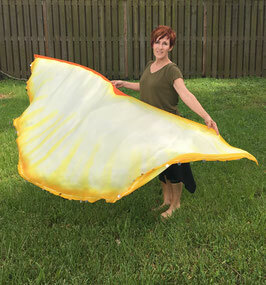 Wings are sold at $150 per wing, and may be sold as a pair for $250. Please contact me if you would like the discount on a pair.